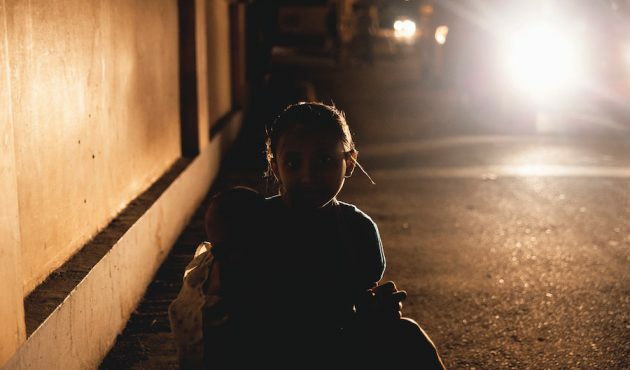 Traditionally, communications efforts to combat human trafficking have focused on raising awareness about the crime among affected communities and potential victims. In order for these campaigns to be effective, they must not only target potential victims but also address the behaviour of those who constitute the demand-side of human trafficking. This includes clients, customers and owners of establishments that participate in trafficking, or the traffickers themselves; anyone who benefits from the perpetration of the exploitative behaviour. Increasingly, there is agreement about the importance of targeting the ‘demand-side’ of the problem, and we are beginning to see a slow shift from campaigns that focus on raising awareness to those that target a specific change in behaviour. 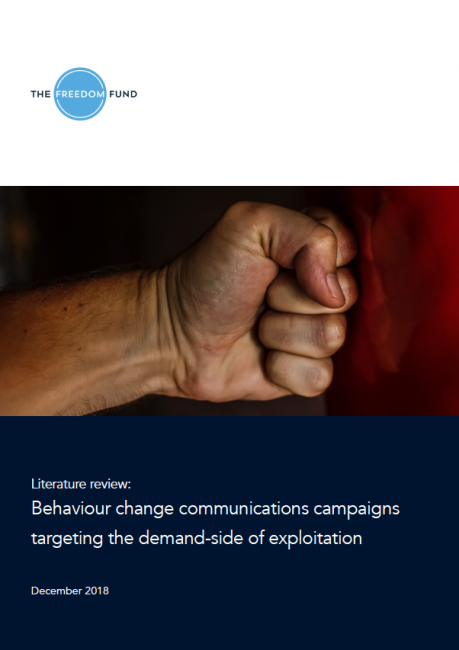 But this body of work is split across geographies and disciplines, so the Freedom Fund has developed a literature review to bring together the lessons from previous behaviour change campaigns that target the perpetrators of exploitative behaviour. The review will inform the design of a behaviour change campaign run by the Freedom Fund in collaboration with local partners in central Nepal. This campaign will specifically focus on the commercial sexual exploitation of children (CSEC), which is a known problem within the adult entertainment sector in Kathmandu. This review incorporates a broad range of resources and purposely seeks to learn from other disciplines. In total, 28 reports have been reviewed, covering 26 different campaigns. The review includes a number of campaigns that target exploitative and damaging behaviour in the form of violence against women and sexual abuses on campuses. In addition, relevant behaviour change campaigns that target bystanders have also been included. The review includes findings from a broad range of campaign types and mediums, selected on the basis of specific criteria. The Freedom Fund’s behaviour change campaign will target the demand-side of the issue, as it has been reported that there is a growing request for minors in adult entertainment venues where they may be subjected to sexual exploitation. Given the growing interest in this form of behaviour change campaign and the sparse status of global evidence on this topic, we hope this literature review is useful to others working in related fields.